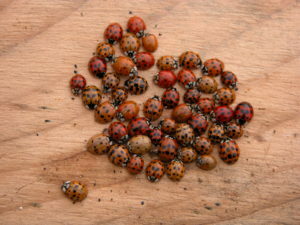 After brushing away sawdust, exit/entrance holes, as tiny as the beetles themselves, become visible. 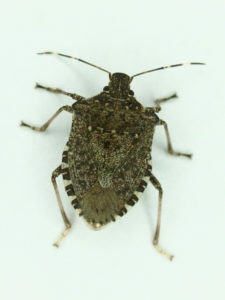 A beetle is inside, peeking out. 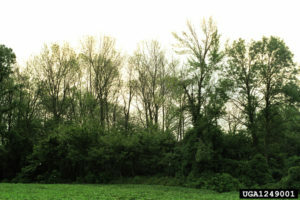 The marks at the bottom of the photo depict millimeters. 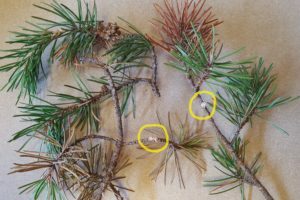 Jack pine tip beetle (Conopthorus banksianae) is a tiny bark beetle that bores into the twig tips of pines. 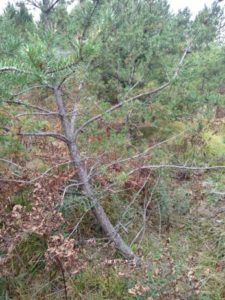 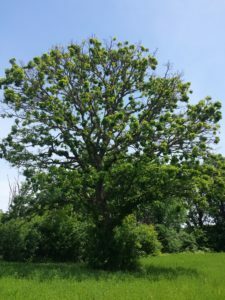 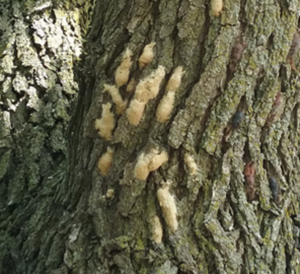 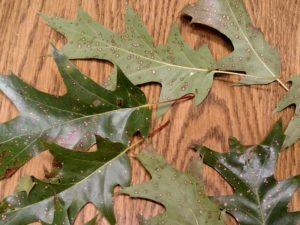 Damage from jack pine tip beetle was observed this summer on jack pine trees in Marinette, Vilas, and Lincoln counties and on white pine in Waupaca County. 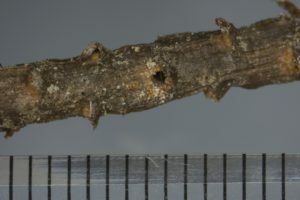 These beetles attack and kill the outer 4-6 inches of twigs, leaving hollow piths. 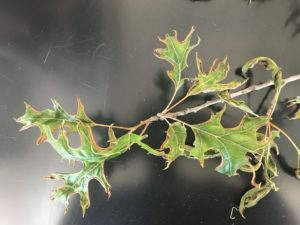 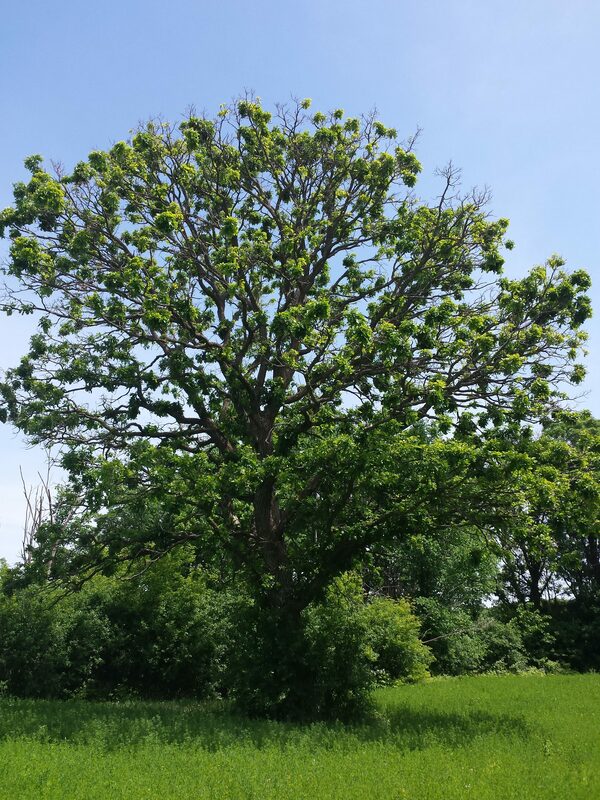 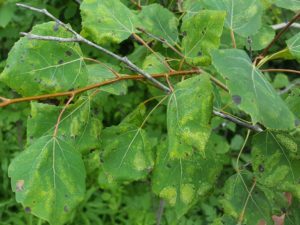 The piths can be diagnostic in determining whether an insect or disease killed the branch tip. 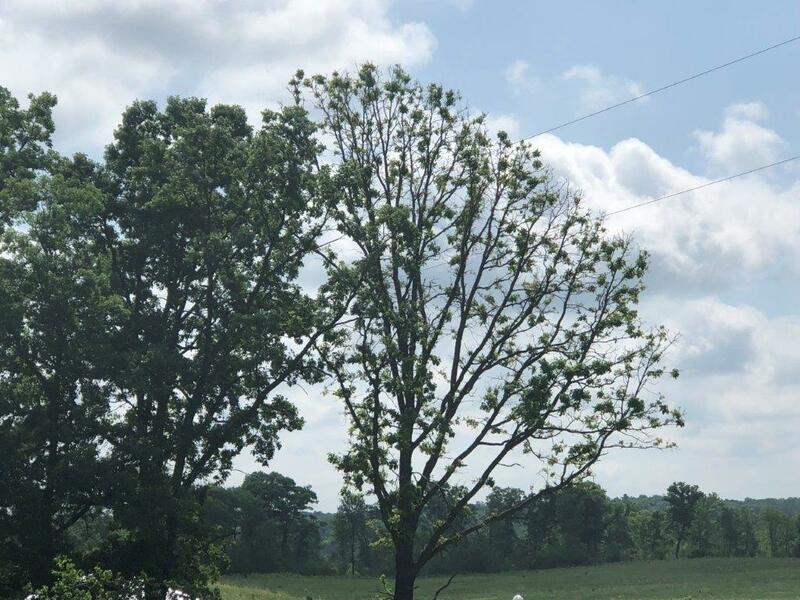 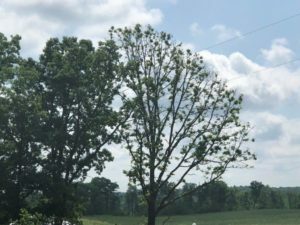 The damage, which may appear significant since the dead needles remain on the branch tip and there can be many dead branch tips on a single tree, is rarely severe enough to be detrimental to the tree; no control is recommended.